​West Ham have enforced a pre-match booze ban ahead of their clash EFL Cup clash with Chelsea, to prevent trouble arising. The London sides are set to face off on Wednesday in what is the biggest match so far in their newly acquired stadium. A spokesman for the stadium told the ​Mirror: “There will be no pre-match alcohol sales from the mobile bars outside the Stadium, but bars will be open as normal inside the ground. "All bottled alcoholic beverages will be decanted into plastic cups. Bars will close at the full-time whistle. “All supporters have been asked to arrive early for Wednesday’s fixture to allow sufficient time for enhanced pre-entry security checks. “Ahead of the game, home and away supporters will mix freely around the stadium island, however there will be post-match segregation. Life at the new stadium hasn't been easy so far. The Hammers have faced crowd trouble during the first few months, with fans said to be unhappy with the strict rules implemented by staff. 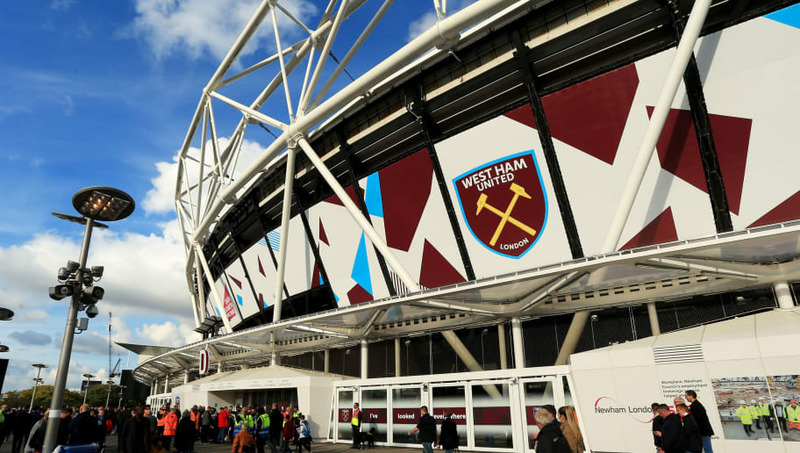 As well as the imposed ban, there will be more police officers situated around the London stadium in preparation for the match, with fans being told to arrive early at the former Olympic Stadium to ensure everything runs smoothly. West Ham will be looking to avenge their 2-1 loss to Chelsea from earlier in the season.